I’ve got a big family, which means we do a lot of laundry. With our old appliances, we were doing a load a day and there was a backlog of dirty clothes. When our old washer and dryer went kaput, we decided on an upgrade. I bought the biggest, most energy efficient washer and dryer I could afford. I figured with bigger loads, we’d be doing fewer loads. But in some ways, I was wrong. Sure, the new washer and dryer could hold a lot more laundry, but we were still doing about a load a day. However, something changed: The backlog of dirty clothes disappeared, and our utility bills decreased. Even though we are still washing clothes every day, we are washing more clothes more cheaply than we were before. Where it used to take three hours for a complete wash-and-dry cycle, now it’s closer to two hours. Those new appliances made our day-to-day lives measurably better off. In Portland, the Oregon Department of Transportation is in the process of widening I-5 through the Rose Quarter, which has been named one of the worst bottlenecks in the country by the American Transportation Research Institute. ODOT forecasts the improvements will save more than 2.5 million hours of travel time each year and reduce crashes by up to 50 percent. For example, the current “worst” stretch (I-5 southbound, from the Going on-ramp to I-84 eastbound off-ramp), will see travel times drop 15-30 percent. Over a typical work year, that would save a commuter more than 20 hours of time stuck in his or her vehicle. Many, if not most, commuters through the Rose Quarter will be measurably better off because of this project. Despite these anticipated benefits for commuters, opponents of the I-5 project claim that increasing highway capacity will increase congestion. 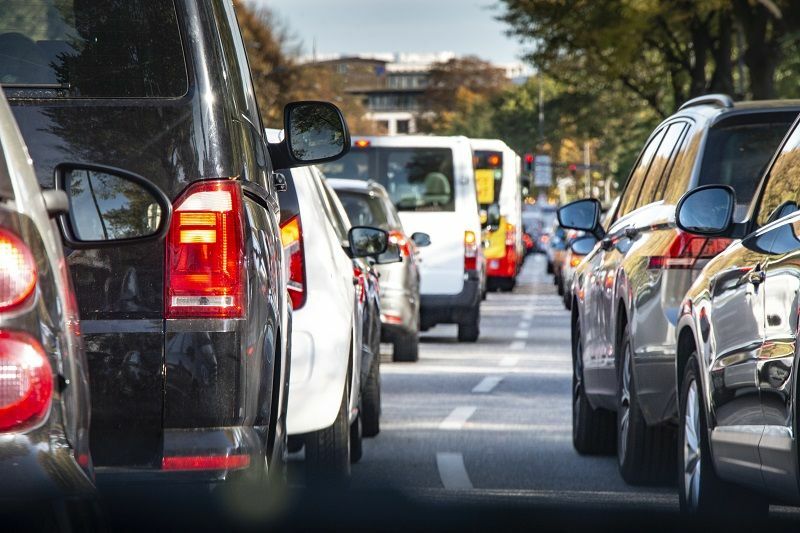 They invoke a concept they call “induced demand,” arguing that wider roads “induce” people to drive more, leading to more traffic and ultimately even worse congestion than before the improvements were made. It’s much like arguing that I’m worse off because my new washer and dryer can handle more laundry than my old klunkers. Critics of the project tend to confound traffic with congestion. Traffic is the number of vehicles or vehicle miles travelled. Congestion involves speeds or travel time. A road can have a lot of traffic and little congestion. Similarly, a road with relatively little traffic can be highly congested—such as streets around a neighborhood school in a residential area during drop-off and pick-up times. To be sure, improvements around the Rose Quarter will increase traffic on I-5 and I-84. Some of that traffic will come from more people driving. But some of that traffic will be the result of people choosing to use the highways instead of taking arterials or residential streets, which will reduce congestion on these increasingly clogged roads. If it’s cheaper in terms of time to take a highway rather than an arterial, people will choose the highway. That’s not “induced” demand, that’s plain old vanilla demand. Lower prices lead to higher quantity demanded. The Rose Quarter highway improvements are to be combined with a congestion pricing program that will further improve traffic speeds and travel times. Done properly, such pricing discourages driving when congestion is most likely. Anyone who has used Uber or Lyft has experienced congestion pricing with the services’ “surge pricing,” in which fares increase when demand for rides exceeds the number of drivers at a particular time. Congestion pricing smooths the timing of trips to foster a faster flow of vehicles. The Portland region is adding more than 30,000 people each year. Our transportation system needs to keep up with the influx of new residents, workers, and business activity. It’s this growth that’s inducing the demand for more and better roads, and the region needs to meet that demand.